Weight Loss Six Pack Sale! Save $90.00 On The Weight Loss 6-Pack! 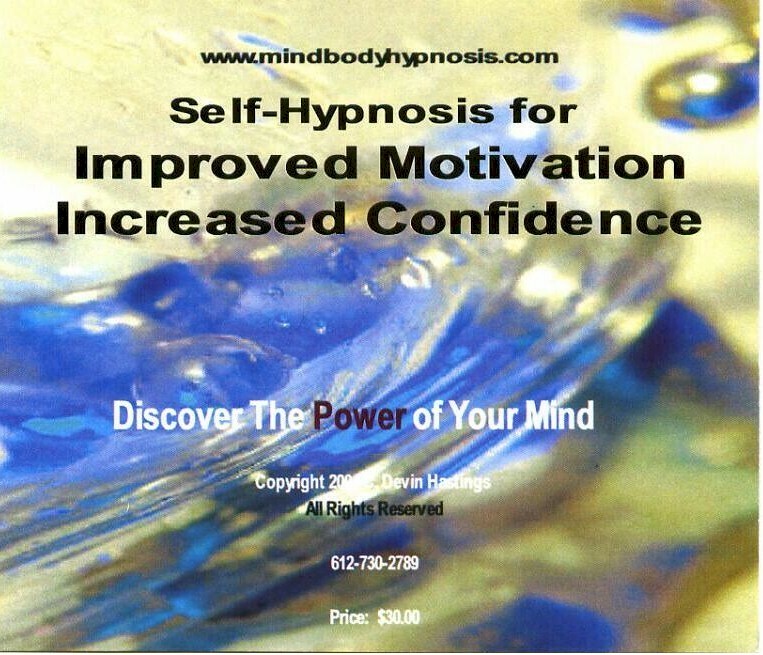 Separately, the self-hypnosis CDs below have helped many people to achieve their dreams. Together, they make a killer weight loss program! Unlike a lot of hypnosis programs available, a great deal of thought, effort and care have gone into creating my programs. This essential ingredient gives you a much greater chance of success. If you choose to save a lot of money right now and make a good investment in yourself by owning my products, you are getting (and cannot get anywhere else) over 22 years of comprehensive, deep experience. Overcoming very difficult personal problems. You know, I had a guy come into my office and ask me about my services, etc... and then he asked: "How much are your CDs?" I told him and he immediately stiffened and said that he could go on the internet and get hypnosis programs for much less. I agreed with him. He could. After all, how hard is it for any untrained person to read a script from a book into a recording program and then burn it to disc (or MP3)? It's easy. And then that person just prices their stuff cheaper than anyone else and there you have it: Cheap products. However, just because a person is paying less for a product doesn't mean it costs less. Let me explain: I used to buy cheap shoes. And my feet paid for it every single time. And then I would end up throwing away the cheap shoes that quickly wore out and/or hurt and I would buy another pair of cheap shoes only to throw them out. All those cheap shoes cost me a lot more (in money and aggravation) than a quality pair. Do you know anyone that has had that kind of experience? I'm reminded of a quote: "Most of the time, you do get what you pay for." So, when people tell me that my CDs are expensive, my response is this: "You may pay more for my experience and help but it will cost you much less." What if a person buys a cheap program and it doesn't work? Are they likely to develop the attitude that 'it' (hypnosis) doesn't work? Probably. So, what happens is that a person has thrown away their money and their chances for changing because they paid less. Wasting money is very costly. And, I say they've thrown away their chances for change because I know hypnosis works but they think it doesn't. Why? Because they bought a cheap product. My point is this: You have a much better chance of saving money and succeeding by investing in products that are crafted with care and with over 22 years of personal and professional experience. Have you ever eaten food made by someone who really didn't know how to cook or who just didn't care? Even though they followed the recipe (script) somehow it just doesn't taste right, does it? 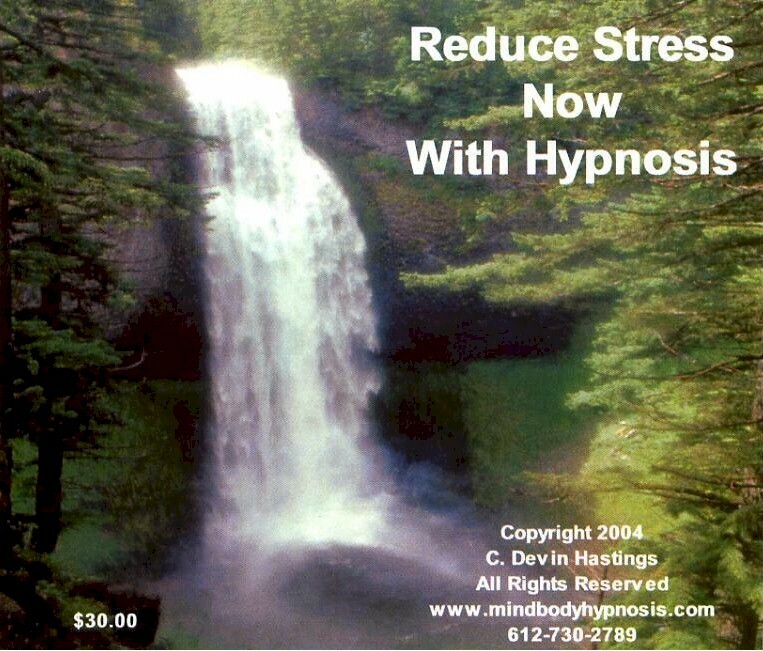 Get self-hypnosis programs that are more nourishing. You're worth it. And right now you can save $45.00 on the Weight Loss 6-Pack. The Weight Loss 6-Pack consists of 6 CDs that target six specific weight loss challenges. 5) Out-of-Control Stress. "Ahhhh! I can't take this job! Gimme' a donut"
If you'd like to order now, please click the below Add To Cart button. Or, if you want to learn more about what you're getting, there are pictures and descriptions of each self-improvement hypnosis CD below. If you want, you can also click on the above titles to jump to the one you're curious about. Please bear in mind that this entire program or the individual CDs in it can be unique, truly meaningful and inexpensive holiday gifts. Orders are processed on a very secure site. Shipping and Handling is $10.00 additional. Your CDs are being shipped via USPS Priority Mail with Delivery Confirmation. How would you feel if you were more confident? What would attempt? How much better would your life be if you were able to feel fear and yet act with confidence? In this session your mind is unconsciously trained with techniques designed to help you to effectively focus on those goals you want to accomplish. During the process, you are also coached how to filter out those thoughts that distract you from your purpose. This self-hypnosis session can also help you to change your thoughts from "I’m not sure I can do it." to "I really believe in myself!" BEST COMBINED WITH: Any other self-hypnosis program because the more personal power you have, the better you can accomplish all your other goals! Screaming Caffeine Jitters are not the way to do a better job! Think about it: You’ve probably seen someone who was really tired and incredibly wired. How rational were they? Did their fatigue make them work harder and yet get less done? What could you do with more energy? Would you be happier? Would you be able to get certain projects done that are just sitting there making you feel guilty because when you get home at night you're too tired? 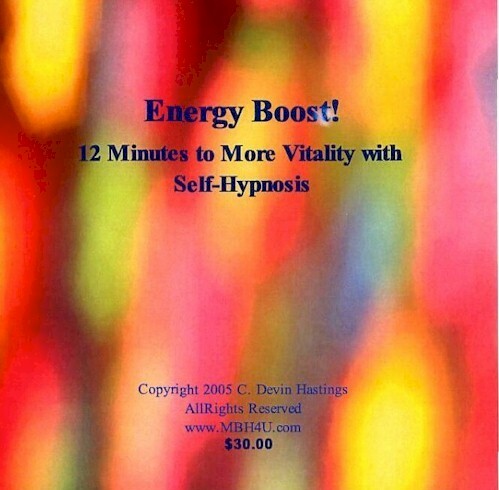 Do your Self, your Body and your Heart a favor and power up the naturally better way---use self-hypnosis. Besides, at $2.00 per cup of coffee, this CD is a bargain! Have you ever said: "I know I should exercise but I'm just not motivated." And then you feel guilty (and maybe resentful in some way) because you know how important even a little bit of exercise can be to your health. As many people know, guilt is an incredibly heavy weight to carry; especially when it comes to exercise. So, rather than go for the same thing that has never worked anyway, this program will hypnotically coach you to make the unconscious changes necessary so that you are gently conditioning your body to increased activity levels. Then, over time, as your body is changing, you will be able to much more easily conceive of and create, a safe, doable exercise program that will become a lifelong habit-- instead of feeling guilty. Get rid of the weight starting today! Say goodbye to sleepless nights and say "Good morning!" to feeling great! So much can be said about getting good, solid sleep. Good sleep improves diabetes control. Better sleep definitely helps with weight loss. It's true. Bad sleep can make people overweight. Sleep deprived people overeat because they feel like such garbage that they grab onto anything that offers any break from their unhappiness. Did you know that according to the National Sleep Foundation, 58% of people suffer from insomnia? If you’re one of them, you know how much a good night’s sleep is worth. Do yourself or a loved one a favor and give the gift of good sleep! BEST COMBINED WITH: Any other self-hypnosis session because a person’s ability to be their best is greatly lessened when feeling constantly fatigued. Stress makes people eat more than they should because they are looking for relief from their discomfort. Stress also makes people make very poor food choices. Stress, by itself makes diabetes worse and, the last thing diabetics need to do is eat more food than they need. And diabetics certainly don't need to be tempted by stress to eat food that hurts their health. Stress weakens will-power and makes positive self-change very difficult. Stress pushes buttons that cause self-sabotage. Discover your inner power to push your own buttons. Reducing stress helps you to stay in control and become more immune to stress. This program is a must for anyone! BEST COMBINED WITH: Any other self-hypnosis session because remaining calm is the key to success in so many situations! Get Rid of Excess Weight--This program hypnotically coaches a person to think, feel and therefore ultimately be more like a slimmer, healthier person. Most people do not know how to talk to themselves in empowering, encouraging ways. Being able to talk to your deep mind in a healthy, supportive manner is essential to safe, permanent weight loss. 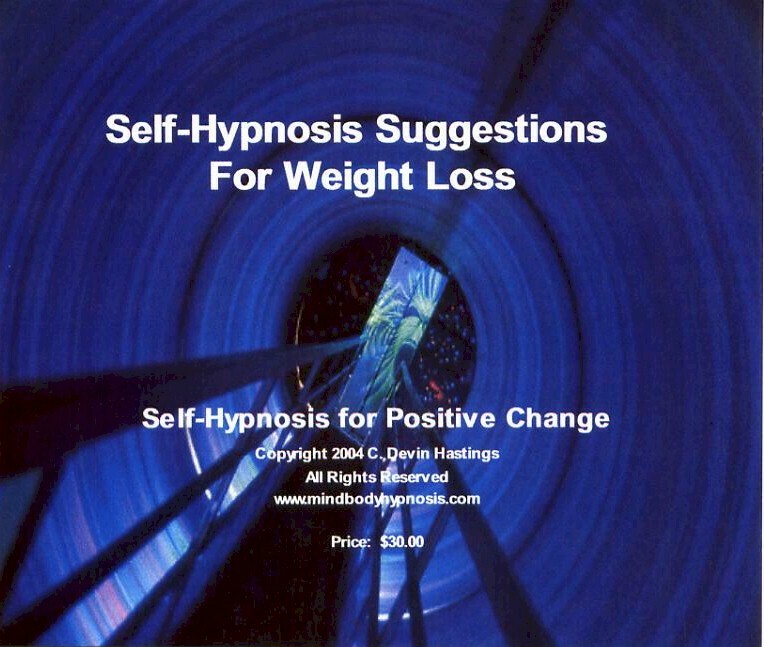 Change your heavy, inner self-talk to ‘thinner’ self-talk now with the power of hypnosis! 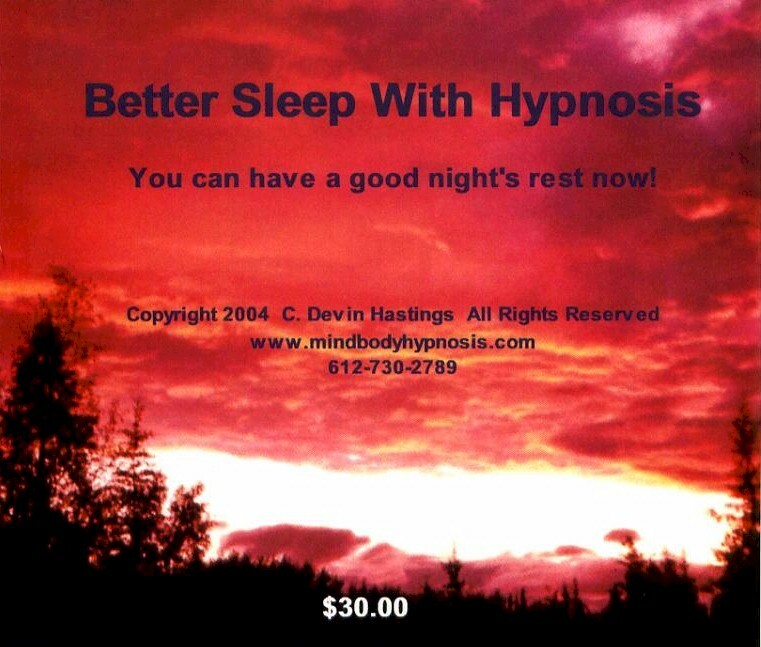 BEST COMBINED WITH: Self-Hypnosis for Improved Motivation & Increased Self-Confidence, Better Sleep with Hypnosis and/or Reduce Stress Now With Self-Hypnosis. Hi There. If you've looked at each one and thought about it, why not give it a try? If the price is too high, you many want to give a single CD a try. 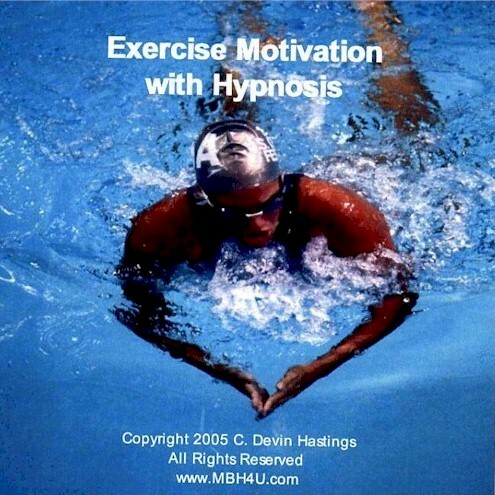 Click here to view all my self-improvement hypnosis CDs. No matter what you decide I want to wish you the best of the holiday season. And please remember, even though losing weight and making other life changes can seem impossible, success is closer than you think so long as you never give up! Act in spite of the fear you feel and you will succeed. Save $45.00 until midnight August 31, 2007. "I almost ran out of money once. It was a near-debt experience." "I've created the ultimate meditation tape. It's blank." "The average child laughs 150 times a day. The average adult laughs 15 times a day. You do the math. Do the aftermath." This guy is a genius and he is incredibly funny! Click his picture if you want to burn some calories laughing at funny stuff on his website! "Friendship consists of only one soul inhabiting two bodies." The winds will blow their own freshness into you, and the storms their energy, while cares will drop off like autumn leaves."